Since 1995, Snopes.com has been debunking urban legends and correcting the abundant misinformation that circulates on the internet. But the site isn’t just about alligators thriving in city sewers after being flushed down the toilet or babysitters who get so stoned that they put infants into the oven. Snopes.com also tackles politics and current events. This week, for instance, the site posted a thorough dossier on the mysterious Meredith McIver, the shadowy ghostwriter who took the fall when Melania Trump’s Republican National Convention address on Monday night was found to have plagiarized a speech by Michelle Obama from 2008. The hot rumor on the internet was that McIver was a fictional character, invented by the Trump campaign to be a scapegoat. It wouldn’t be out of the question. Earlier in his career, Trump had devised an alter ego called “John Barron” in order to interact with the media. 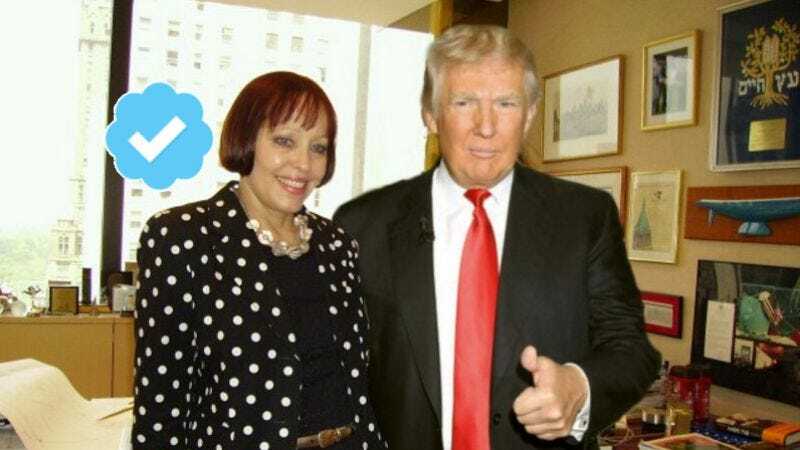 But Kim LaCapria of Snopes has done some digging into the case and has come up with plenty of evidence to suggest that McIver is quite real and has worked in the Trump organization for years. Her attempted resignation from the campaign following the scandal might have been a bit of clumsy public relations theater, but the woman herself is flesh and blood. Despite what folks on Twitter and Facebook might be saying, McIver was not entirely unheard of before this week. There were, for instance, fleeting references to her in a 2005 New York Times article about ghostwriters and a 2007 Guardian article about Trump. Maybe the most convincing bit of evidence of McIver’s existence is her New York City voter registration information. While it’s not true that she’s a fictional character, it is true that she’s a registered Democrat. The real reason that McIver has been so obscure up to this point is that the very nature of her job means that she has to operate in the shadows. Public figures like Trump are not keen on talking about their ghostwriters (though Trump does like to threaten them).